Adequate Steel offers slat wall gondolas that are constructed from premium quality raw materials. It offers a wide range of applications that can be suitable for organizing the goods in any place, be it office, closets, warehouses, garages, etc. Of all the uses of the slat wall gondolas, the most prominent and popular use has been in retail and merchandising outlets for electronic goods. Adequate Steel is a brand name in the manufacture and supply of racking solutions for both industrial and retail outlets. Though there are varied solutions available for an effective racking system, slat wall display units are found to be very apt for marketing and merchandising electronics goods. The slat wall gondolas are very sturdy and durable therefore can withstand rugged handling which is common in customer walk-in retail outlets. 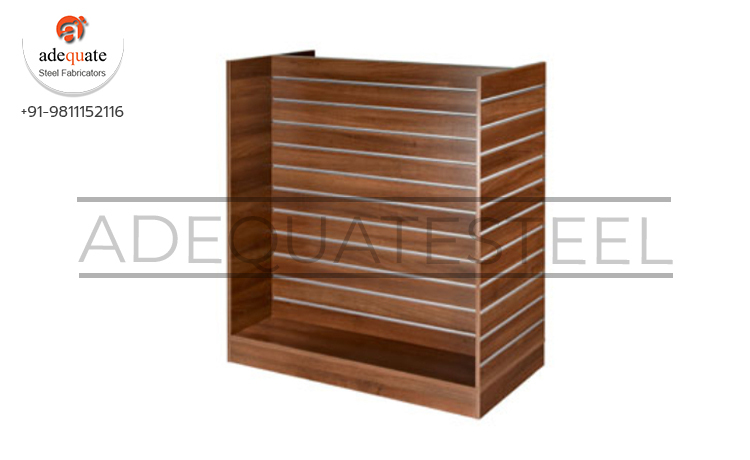 The superior quality slat wall gondolas for electronic stores are made from high grade raw materials and are capable of showcasing the best of products that are displayed on these. The structure and design of these units are compact, hence ensuring that it saves plenty of floor space. This is usually located in close to the wall where underutilized floor space can be better utilized as it occupies the least space but provides for storage of electronic products.